To me the best policy to live is "Give & Take". By these two words, Give & Take, I could see four types of people that live on them. Most people like to receive (as takers) than to be a giver, and some might take first and later also give. 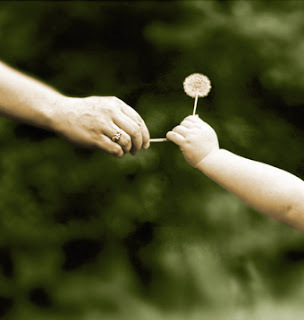 A kind hearted person usually gives first than to receive. But rarely you could find one that only give without any intention to receive. The first type who only wishes to receive is usually selfish and cunning. Giving is an unhappy moment,while receiving is an asset and joy to them. I doubt they would have many friends. The second type is a little bit better than the first, and they are... to receive first and consider to give out later. They are shrewd and witty. They prefer to gain first rather than being a loser. Usually these are the fifthly rich people in town. The third type is one who understands and enjoys mixing with people and the surrounding. To them, happiness is to give as much as possible. They take the effort and initiative to give first, rather than to be given. They believe by the law of attraction, they would be rewarded later. They are popular and have many friends. The fourth type is a unique kind. One who just gives without the intention and thought for any gain. They give willingly, happily and unconditionally. I strongly believe those who are of such givers, are usually protected and blessed by the Divine force and energy. I wish if I could be here. Sorry! There is still one more type not mention. They are the one who does not give and refuses to receive as well. Are you? Food for thought - "Real love is when you become selfless and you are more concerned about your mate's or children's egos than your own. You're now a giver instead or a taker" - Sylvester Stallone quotes. nice post again Mr Robert. ''I choose to serve rather than to be served ''. Have a nice day Mr Robert. Tc. From raj. Sad to tell you that I had been told off today for giving. I'm glad you have my tagline too. I'm sure you are a very likeable person and many girls just adore you. Right? And that is why The Almighty Universe brought you here to read my thoughts. I know... this hurts. But for anything to happen, there ought to have a reason. Always think that it's for a good reason. You would feel much happier then. Try Please.